This headgear is for Swift™ LT Nasal Pillow Mask only. This headgear is for Swift™ LT Nasal Pillow Mask only. 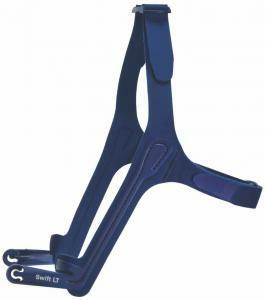 The Swift™ LT uses a patented rotating barrel and can be adjusted to accommodate various nasal angles. The stability arms are expandable so they accommodate most facial widths including narrow or wide faces. This headgear fits both the Swift™ LT and Swift™ LT for Her Nasal Pillow CPAP Mask. I recomend to all that sleep on their sides.